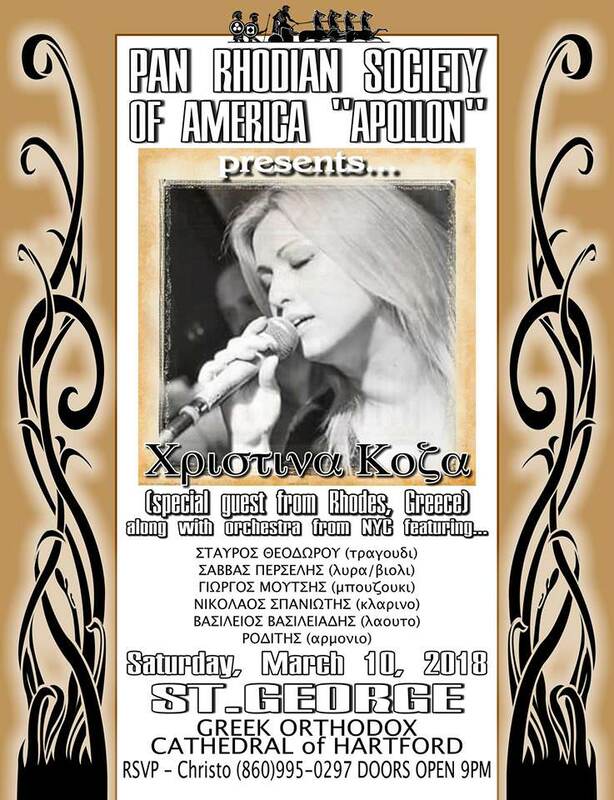 Join us for a night of Greek music and food. Last year was amazing and this year will be even better. Price of admission includes entry and lent appropriate meal. Full bar available with bottle service. For table reservation please call Christo @ 8609950297 of inbox me. Tables are filling up fast. Adults $40 Students $25 Children under 12 $0. GreekBoston.com is NOT held responsible for any events that are listed that have wrong times, flyers or venue information. All Greek event listings on GreekBoston.com are researched by our team and submitted to us. If you see any information regarding any Greek event, Greek festival, Greek dance and Greek concert that is incorrect, please EMAIL us at greekboston[email protected] and we will fix this right away.